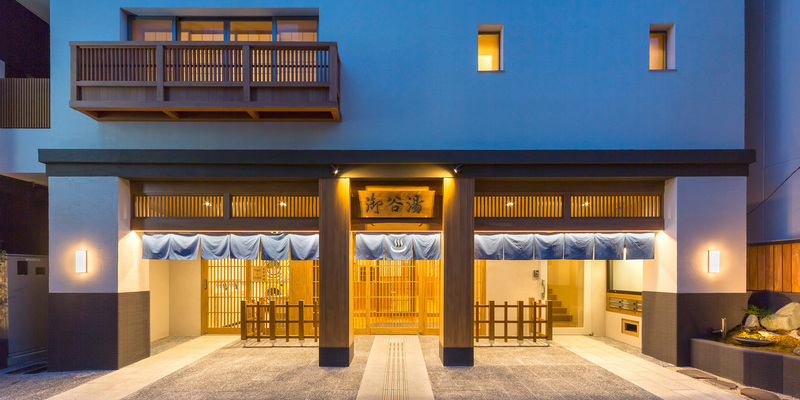 MIKOKU-YU is standing near the birthplace of Hokusai Katsushika, that has an atmosphere of deep down town of Tokyo. 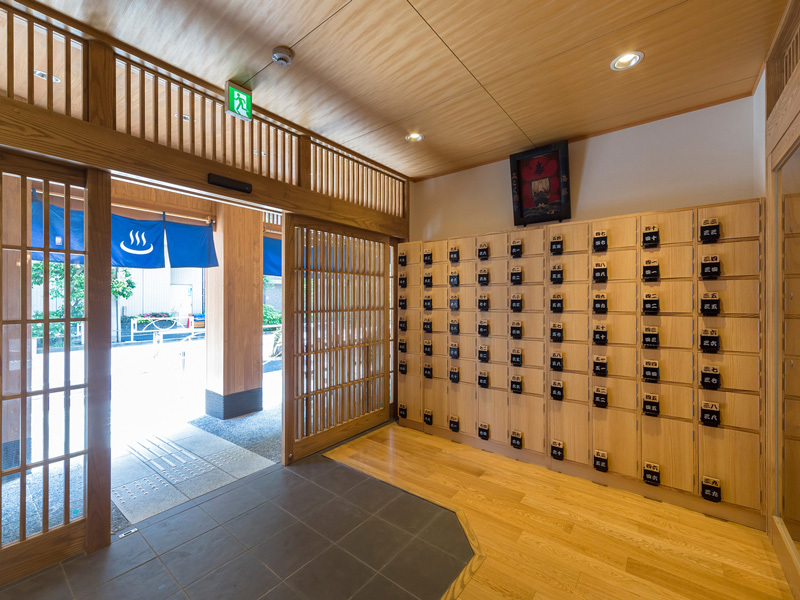 It’s located in the center of the spots which have become the face of Edo/Tokyo such as Asakusa, Ryogoku and Honjo-Azumabashi along with the “Sky tree”. 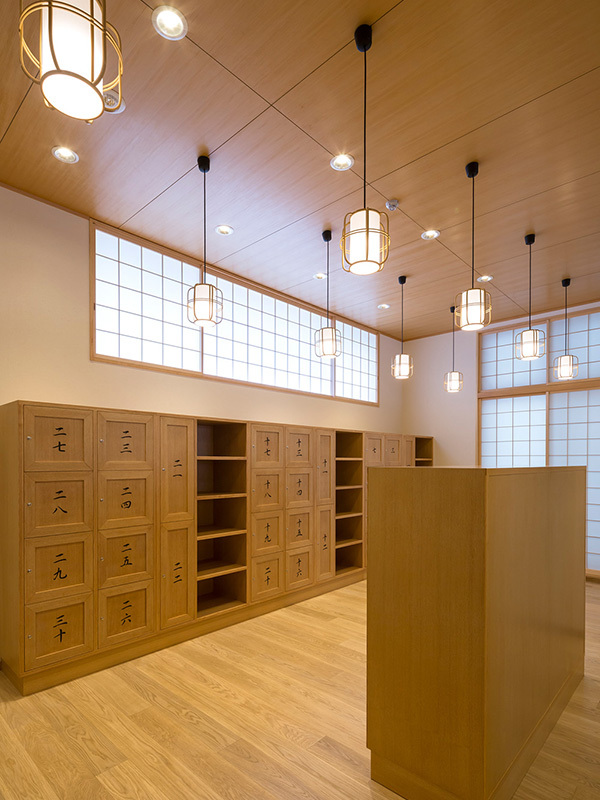 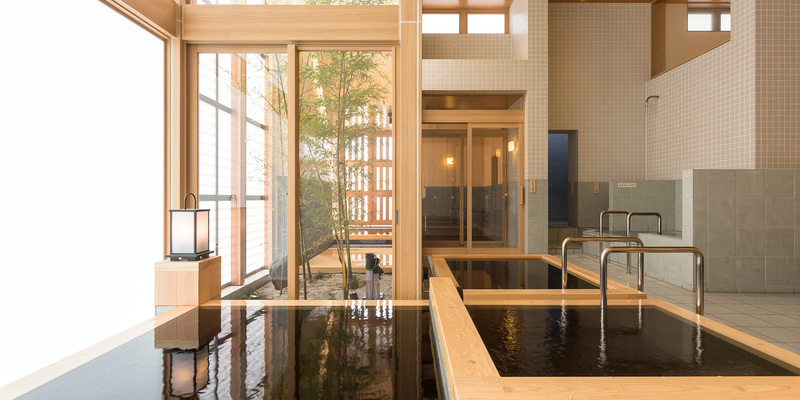 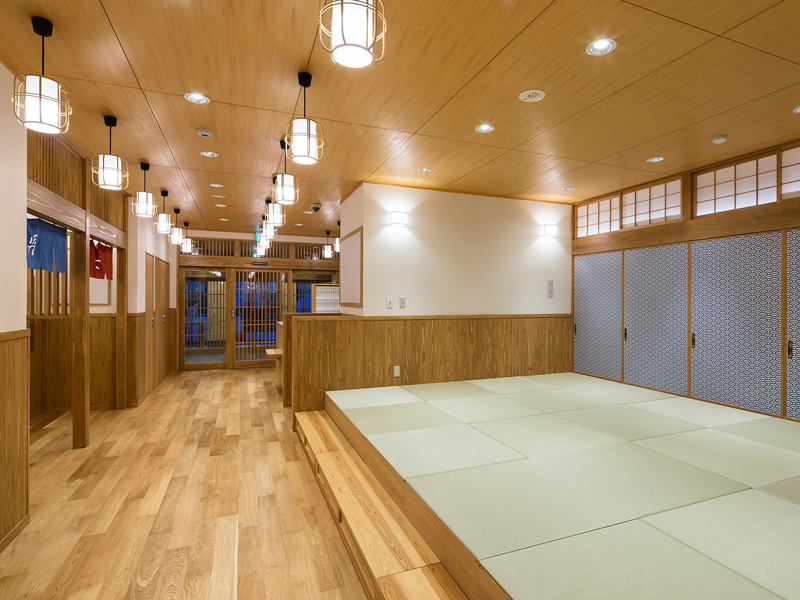 The design concept was set as “Edo style Sento in the present era” and the design was developed based on uncolored wood usage and colors reminiscent of Edo. 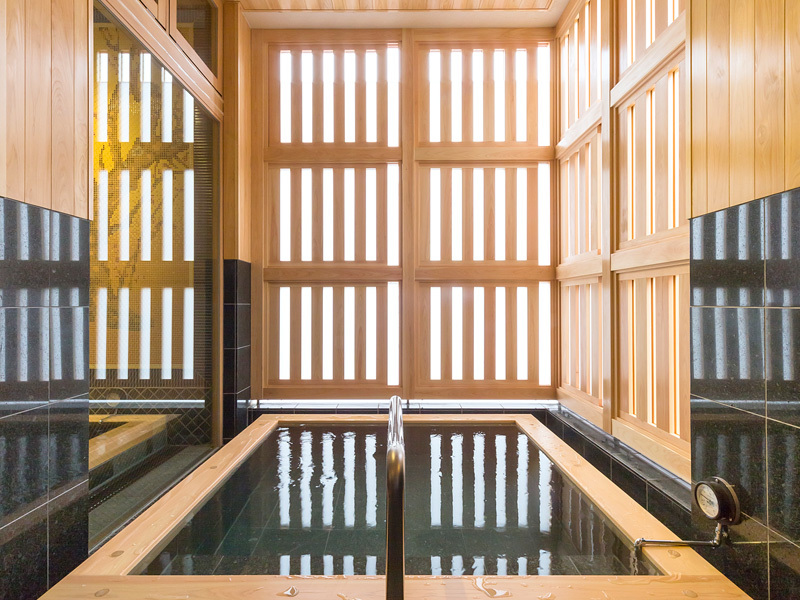 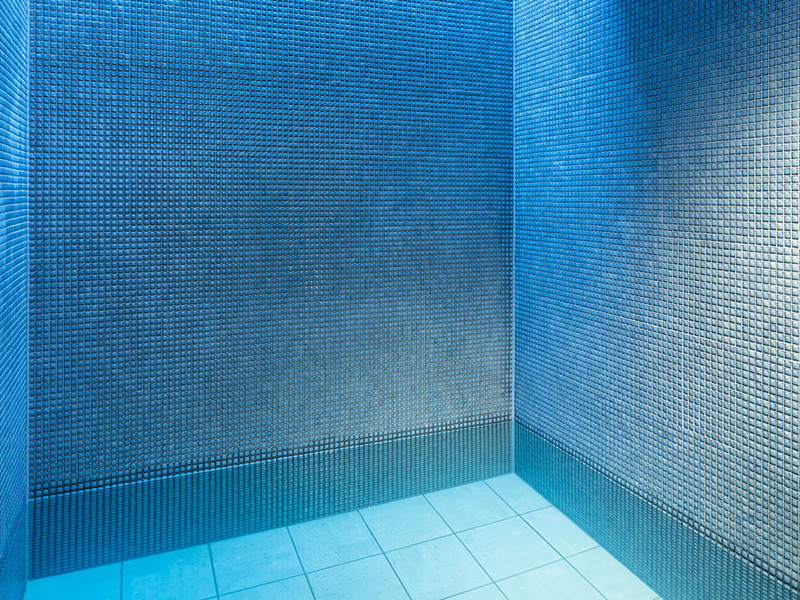 It is possible to enjoy a different atmosphere by weekly rotation of men’s and women’s bathing areas on the 4th and the 5th floors. 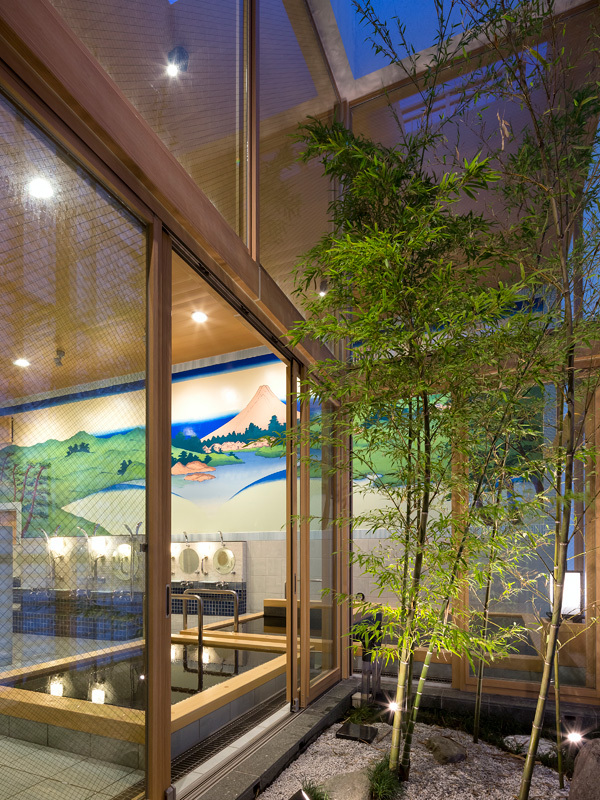 Each area has a small Japanese garden where we can take in outside air and natural lighting. 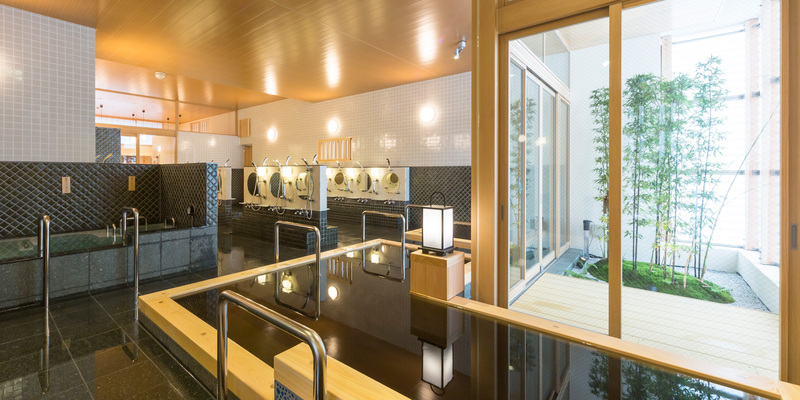 And also this building is equipped with some features such as the function of the family bathroom for handicapped people, the recycling of rainwater, accessibility, because of consciousness to environment.